The forthcoming Joy Division movie based on the life of late frontman Ian Curtis is to feature at this year's Cannes Film Festival. The biopic, directed by Anton Corbijn, has been chosen to open the Directors' Fortnight section of the prestigious event next month. Based on the book Touching From a Distance, by Curtis' widow, Control trails the final years of the Joy Division singer, who committed suicide in 1980. 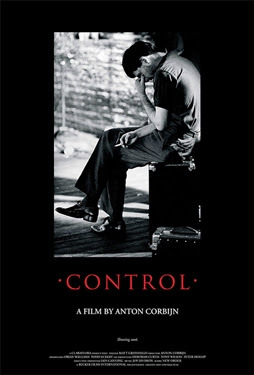 Corbijn's film debut feature focuses on the singer's rise to fame, as well as his relationships and his struggle with epilepsy. Leeds newcomer Sam Riley (will play Curtis) and German actress Alexandra Maria Lara will play the part of his lover Annik Honore. Curtis' widow is played by Oscar-nominated actress Samantha Morton. The Killers have contributed a cover of the 1979 Joy Division track "Shadowplay" - which they debuted at this year's Shockwaves NME Awards - for the film's soundtrack and New Order have recorded the incidental music for the movie. Cannes' Directors' Fortnight takes place from May 17-27.